Discovering Port-Grimaud on a beautiful spring weekend is like discovering a painting worthy of the most beautiful Marines, which stands side by side with an art of life where idleness is conjugated to infinity and is lived on a daily basis. The activities are plethora and are prolonged without stopping in this famous medieval village of Grimaud. The coincidence of the calendar offers us many opportunities in May this year and we are expecting many many visitors very soon. Do you know anything more invigorating than the typical scents of local herbs and the singing accent of the South? Enjoy our typically provençal market held on Thursdays and Sundays and walk the alleys of the flea market at jas des Roberts in Grimaud every Sunday. Visit Saint-François d’Assise church and its famous Vasarely stained glass windows, enjoy Grimaud’s musical evenings and stroll through the lakeside city to discover its heritage. – And finally the colors of India depicted by Isabelle Ambrosio. The official opening was held tonight on Friday, March 30. On the last weekend of May – it will be Mother’s Day – many theater classes from the Gulf of Saint-Tropez will get together. On the program: shows developed by them throughout the school year with the help of their teachers. A committee of former students, who are now professional actors will make up the jury. These children and teenagers of Grimaud have a single objective to devote themselves to their passion while promoting cultural exchanges. As you guessed, their performance will be open to the public. 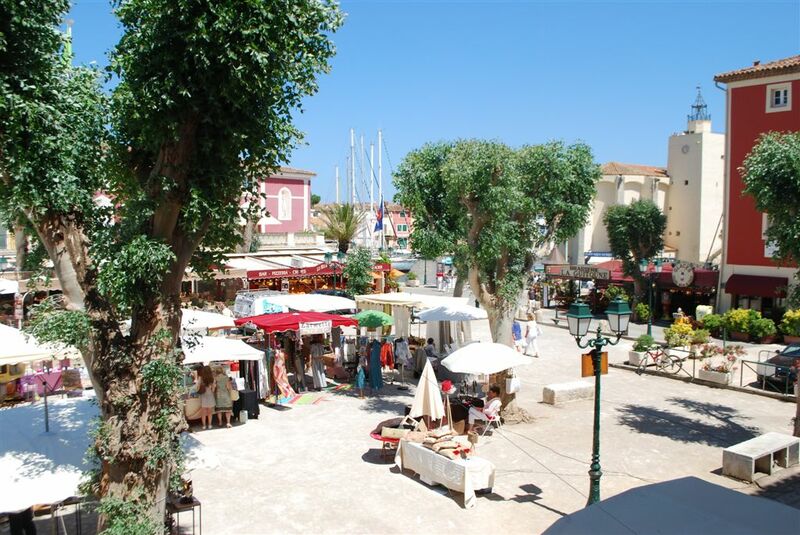 We wish you a very pleasant weekend in Port Grimaud ! Cette entrée a été publiée dans Discover Provence le 4 avril 2018 par Boutemyblog.